The friendly, easygoing vibe at this market is probably its most attractive feature. 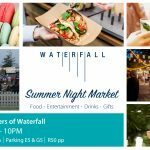 Every week The Fourways Farmers Market features at least four new bands or artists. Many well-known acts e.g. : The Motherland, Will Rayz and Wendy Oldfield have sung to an extremely appreciative audience on our simple, rustic stage. Music lovers can settle on a hay bale and listen to the finest up and coming musicians in the country. You saw them here first! 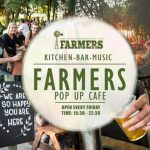 For a list of which musicians are playing at Farmers Pop Up Café and Bar and The Fourways Farmers Market, check out the Events Calendar.